Had I mentioned the brand a few years back, it would have conjured up images of snappy ad copy, floating Beetles, and German efficiency. Most people think about the emissions scandal—and not much else. Even if you don’t know the nitty-gritty details, you probably recall the main issue: the car manufacturer installed “defeat devices” in its diesel vehicles which altered emissions levels so they would test lower. But do you remember how the company responded when this came to light? How it communicated to dealerships and VW owners? How it engaged with the media? A deeper look into the VW PR crisis—and a rundown of lessons we can learn from it—is invaluable if you face a PR nightmare. Try as we might avoid it, nearly every company will weather a PR storm at some point. Yet according to an extensive Deloitte survey of 300 board members from companies in various sectors and regions, very few are prepared to weather the storm. The same number also does not have a playbook for potential PR crisis situations. Nor do they engage management in determining what has already been done to brace for the blow. Only half of board members and managers ever discuss crisis prevention. Several factors likely contributed to the company’s stalled response when facts came to light. However, the principle issue appeared to be the promotion of aggressive growth goals over open communication and acceptance of failure. Evidence suggests some employees were aware of their practices before the crisis’ tipping point, yet they did not alert senior management. 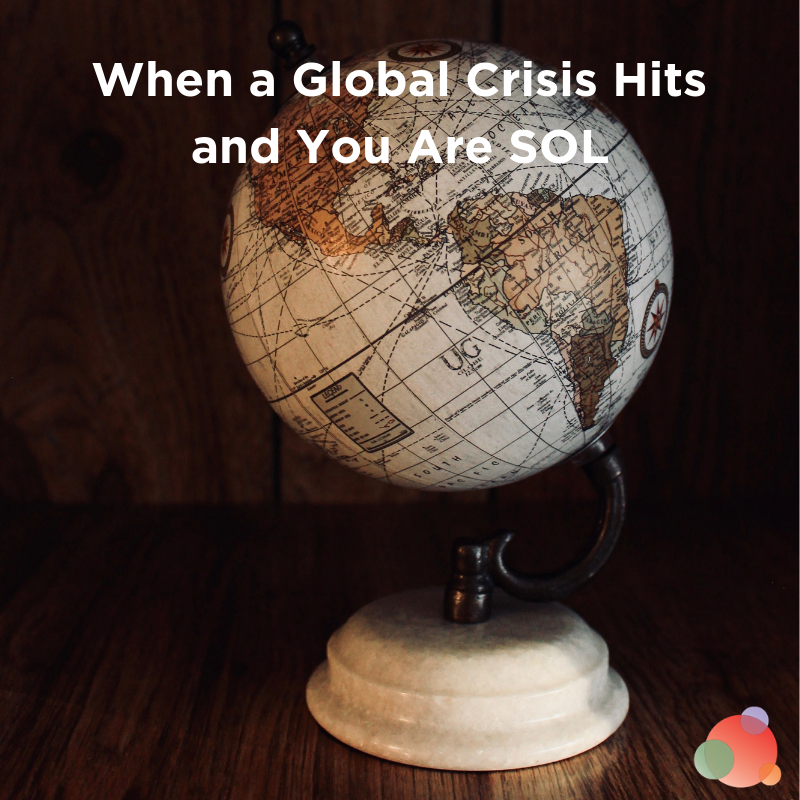 Keeping mum about the situation ultimately left company leaders completely unprepared to handle the crisis. This sort of creeping PR crisis fuels itself until the lit fuse reaches the dynamite. Had VW broken down some of its problematic attitudes and communication barriers, the company may have been able to avoid the crisis. Or, at least, react more quickly and proactively to save its reputation. However, missteps only compounded the problem. 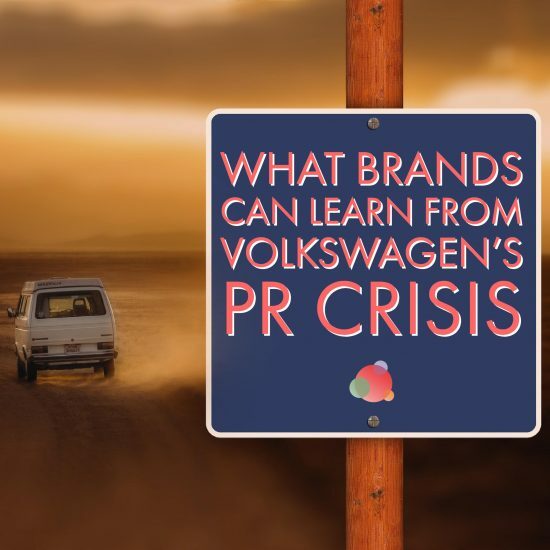 Understanding where VW fell short can help your company put measures in place to prevent difficult situations from escalating into full-blown PR crisis. Here are four lessons learned from the VW crisis to help you navigate your challenges. BrandIndex is a brand intelligence company that tracks consumer perceptions of brands. It measures this perception through its Buzz score, which ranges from negative 100 to 100, with zero representing a neutral score. Before the emissions scandal, the public felt mostly positive about VW. Its Buzz score hovered around 14, meaning 14 percent more people felt good about the car manufacturer. In the month after the emissions scandal broke, however, their Buzz score dropped as low as negative 46.5. This means more than 46 percent of people viewed VW negatively. Not only did the scandal hurt their public perception, but VW didn’t help matters when it continued to sell diesel vehicles at a considerable rate—even after it agreed to stop producing and offering the cars. 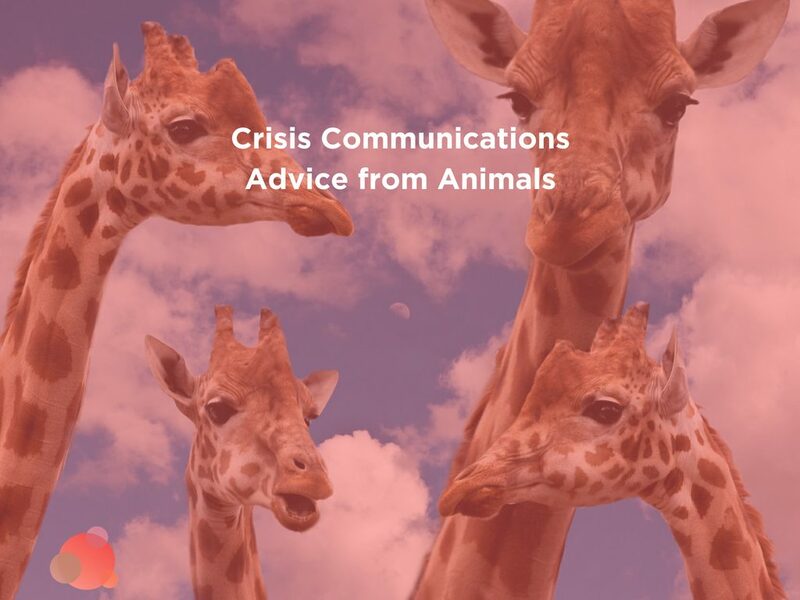 In the event of a PR crisis, everything you do should demonstrate sensitivity to those affected and a keen interest in rectifying the matter. Instead of continuing business as usual, VW should have used this opportunity to sincerely apologize, set a new agenda, and broadcast its future intentions. At that moment, you commit to a new approach and attitude. Promptness is important in crisis situations, but never at the expense of accuracy. After all, words have the power to diffuse or intensify a problem. Unfortunately, VW mismanaged the way it released information. It made an initial statement claiming that only a limited number of car models had the defeat device, which it then had to revise as it became clear that more vehicles were affected. It is better to say you are looking into the matter to determine the impact, rather than come out with a premature statement that may be wrong. In downplaying the extent of the issue, VW further complicated an already difficult situation. Honesty, even if that means admitting your company is still gathering the facts, really is the best policy. Consistency drives the point home. Make an in-depth plan to ensure that all efforts and materials communicate the same message. VW needed to make it a top priority to stay in constant contact with its customers, dealers, and shareholders. Many customers complained that after the news broke, they were not informed about whether their car had the software or not. Even if VW didn’t yet have all the information, it should have shared when customers could expect to hear more. Communicating quickly and openly could save you from losing customers. But you’re sure to lose even more if they feel like they’ve been deceived and ignored. In a PR crisis that necessitates a reputation re-do, your well-meaning critics are going to help you the most. Be willing to listen. Solicit input about what and how you can do better. They will get to the heart of the issue: Was it the lie that bothered them most or the impact of the scandal? Or perhaps something in the way your company communicated? Their concerns and critiques should dictate your messaging and actions going forward. As of January 2017, the VW Buzz score had risen to negative 7.5. This signals that its public perception is on the mend. In the face of a PR crisis, a quick and thoughtful response is only half the battle. The key to Volkswagen’s turnaround—and an essential consideration for any business—will be a carefully crafted long-term PR strategy. Brand and bottom line aside, do the right thing. If you bend over backward to accommodate your customers, you’ll start to regain their trust. Your company may even win over others because your response was so sincere and attentive. Every company should hope it will never be involved in a controversy like that of Volkswagen. 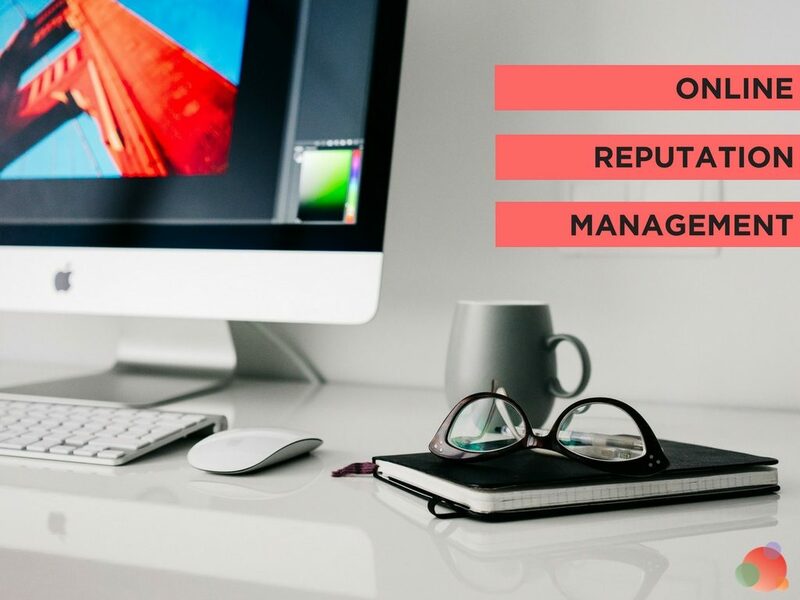 Nevertheless, even minor mistakes need to be met head-on with a strong PR strategy. Any business can learn from the factors which led to the car manufacturer’s downfall and the missteps it made afterward. A company can make a comeback if its PR team has an intelligent plan in place. Taking careful, concerted steps to rectify and rebuild will help. Sarah Clark is CEO of Mitchell, a leading integrated PR firm that creates real connections between businesses, brands, and people through strategic insights, customized conversations, and consumer engagement. Mitchell is the flagship PR agency of the Dentsu Aegis Network, which is the 2017 and 2018 MediaPost Holding Company of the Year.